One of the matches that everyone was looking forward to was the match between esports teams Hawks Talon and CLTX. As play-by-play caster Scott Cole stated, it was a rivalry even though the teams haven’t played each other before. CLTX were coming in as the favorites to win the match, however, Hawks Talon wasn’t being written off by the casters as they have recently put together a solid team. Throughout the game, both teams were trying to get distract the other, with oFab from CLTX getting up and yelling at the other side, and DevGoss from H.T flexing his muscles. In the end, the Hawks beat CLTX in a hard fought battle. As both teams got up to shake hands, thing’s got messy between two players. Celtics Crossover’s oFab (Albano Thomallari) got up and was going into contact with Rando (Randolph Moreno) from Hawks Talon’s. As Rando put out his hand, oFab completely ignored it, and what seems like an intentional bump from his side. 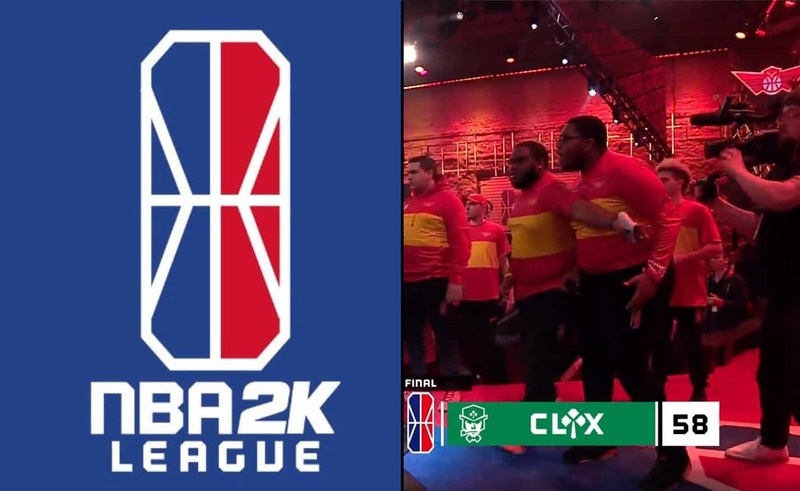 oFab then shoved Rando on the side, and both teams got into a scuffle with NBA 2K League crew’s breaking up the fight. The stream cut to break as soon as the fight started, and that was that. There no was follow-up with replays, or any other talk than what we heard from the casters below. There were no statements or announcements made by either teams, players, or the league regarding the incident. However, there was only one subliminal tweet from Hawk Talon’s side asking if CLTX were ok. Instances like this are rare when it comes to esports events. There’s the occasional trash talking and unsportsmanlike behavior that happens. However, it’s very rare when an actual fight breaks out. The league just wants to sweep this occurrence under the carpet and move on, however, we would believe that both players were contacted regarding the fight for disciplinary measures.